I've always stated here that music is the only thing that holds my attention, my only outlet. I've been blogging for over three years now and still it captivates me. It's the joy of being able to scratch the surface of what most people would consider as new bands or shining lights, only to find layer upon layer of outstanding music underneath. I'm sorry to say that some people don't have that imagination. Anyway, once again the musical call has brought me back to my laptop and back to here. I've got Animal Defence records to thank for this post. Last year, the label got in contact to tell me about some of their most recent releases. As is my random approach to reviewing, I'm only just getting around to reviewing this four-track EP by Noyo Mathis now. For those who don't know, Noyo Mathis are another top addition to the South Coast's music scene and play music that is unclassifiable. It's got elements of noise, math-rock, indie and good old punk in it. Heck, they've even supported Minus The Bear during their time as a band, so it's a safe bet that you'll like em! I’m a major sucker for bands with slick indie/screamo guitar licks and Noyo Mathis hit the spot straight away, with the initial bars of Heisenberg. The production of this EP the other things that strikes out at me as I listen, it’s clean but also manages to keep a live edge, especially in the echo in the vocals. It’s danceable as well, just listen to the drums, bass and guitar playing in unison at the start of Kato. Their math-rock influences are more obvious here, thanks to the rhythms and time signatures. It’s toe tappable but also cleverer than all the turgid mainstream music that’s classed as groundbreaking these days. Noyo Mathis really should be more well-known that they are. It’s really quite criminal! The math sensibilities really set Noyo Mathis apart on Ages. Such a slick three-piece is hard to come by, but Double Smoke proves that they do exist. It’s catchy as hell and you keep getting drawn to the sheer pristine melody and volume in the vocals. The production and mastering on this EP is spot on in my opinion. They conclude Ages with the title track. It comes across as slightly more experimental than the previous songs, as Noyo Mathis are slightly more restrained in the opening bars. The drums are more prominent and sound clear and bright, with the sole rumble of the bass only heard over the top during the verses. The melodic guitar adds volume when the vocals rise. Four songs really isn’t enough here, so you’ll be glad to know that there are two more releases to get your teeth into at Animal Defence Records. Noyo Mathis are definitely a jewel in the South Coast’s crown and should be huge. 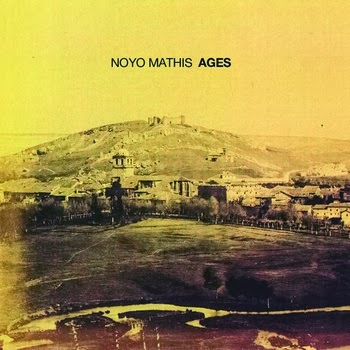 Ages proves what talent we’ve got on our shores and the warming melodies of Noyo Mathis will always be faithful. Perfect! Black Tusk/Dead Yet? - Split 7"
Suffering Mind/Water Torture - Split Flexi 7"